Earlier this month the Trump administration approved the expansion of short-term health insurance plans that don’t have to cover pre-existing conditions. Those plans used to be limited to three months, and can now be used for up to a year. Tester’s Republican challenger Matt Rosendale, who is Montana’s insurance commissioner, has praised expansion of short-term plans because they offer a less expensive alternative to coverage required by the Affordable Care Act. That’s the same reason he gave for endorsing Medi-Share in Montana. Medi-Share is a Christian “health-sharing ministry,” which allows a group of members to allocate funding to pay the medical bills of other members who pay into the system. Medi-Share also does not guarantee coverage for pre-existing conditions. Rosendale explained his reasoning for approving Medi-share to MTPR in April of 2017. “I think anyone who has had their traditional insurance product priced up completely out of reach for them over the last couple of years probably would take a good look at Medi-share, just to have some type of an alternative,” he said. Jon Tester’s campaign held a press call Wednesday attacking Rosendale for allowing Medi-Share to operate in Montana. It was banned after a 2007 lawsuit in which a district court found it was selling insurance without registering in the state. “From the perspective of the person who’s represented a family devastated by this, I don’t see any reason to allow Medi-Share to do business here in Montana where it could damage vulnerable people,” Michael Cok, an attorney who sued Medi-Share on behalf of a Montana client for non-payment of cancer treatment, said on the call. As Montana’s Insurance Commissioner, Matt Rosendale has the authority to allow health-sharing ministries like Medi-Share to operate in the state. But, as he explained in 2017, because Medi-Share doesn’t meet the legal definition of insurance, Montana’s insurance commissioner can’t regulate its practices. Rosendale has said that protecting the ability of Montanans with pre-existing conditions to get health coverage is important to him, and that he’s working on policies to do that, but has not offered specifics. 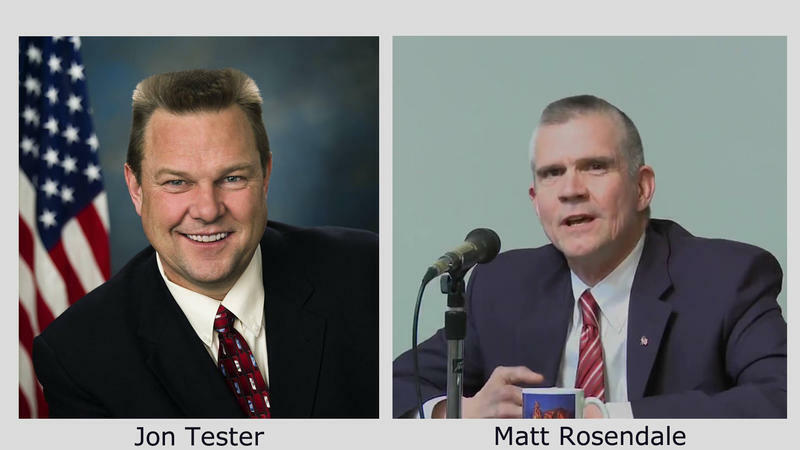 Senator Tester’s attacks on Rosendale on the issue of pre-existing conditions is part of a broader Democratic Party strategy to highlight the topic ahead of the midterm elections.